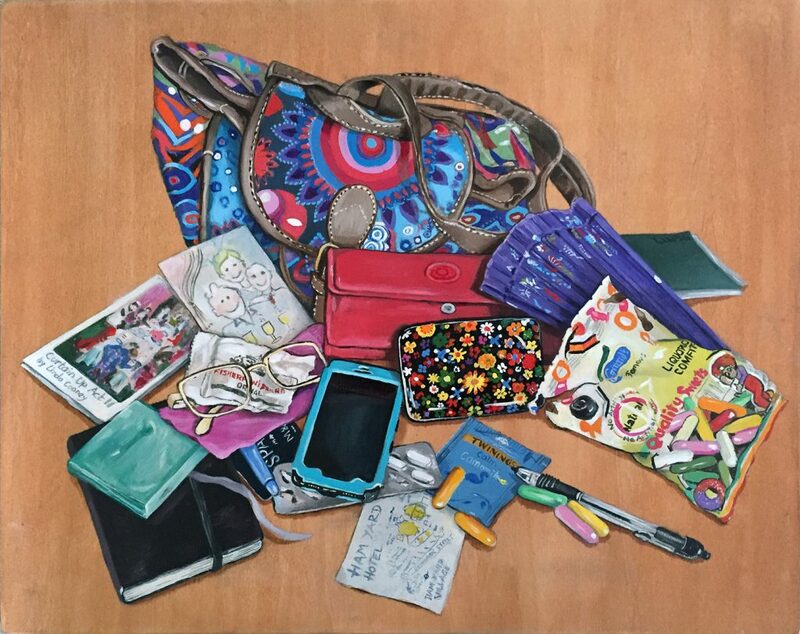 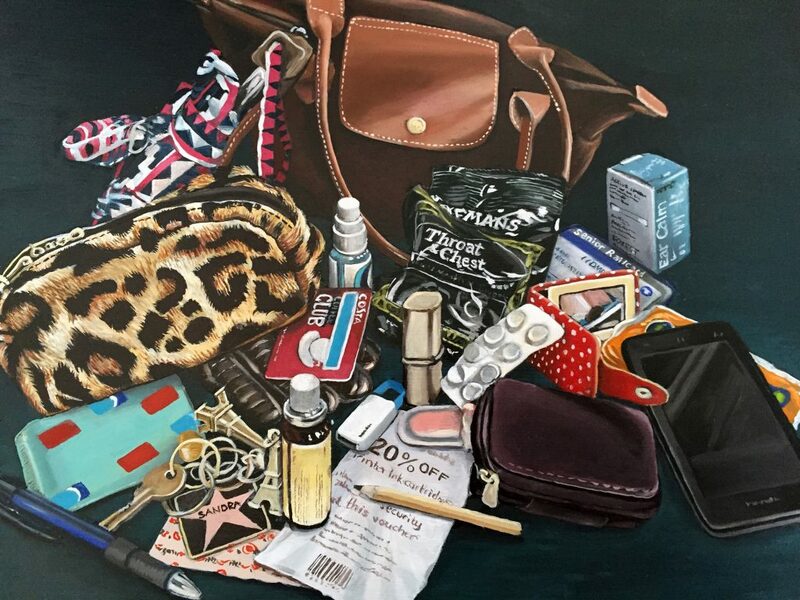 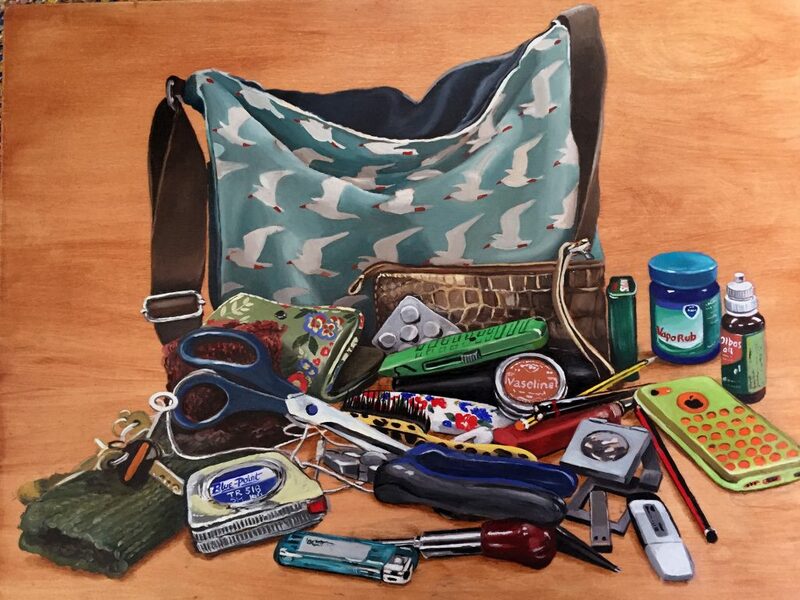 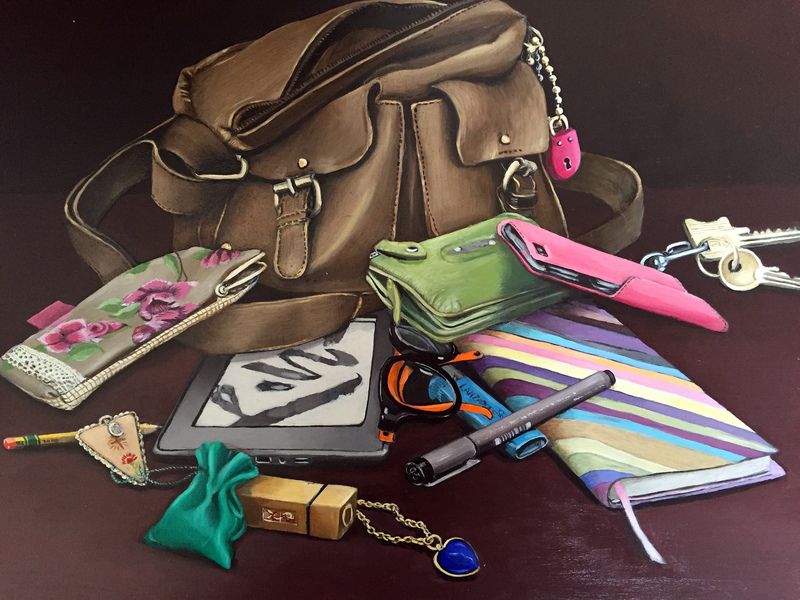 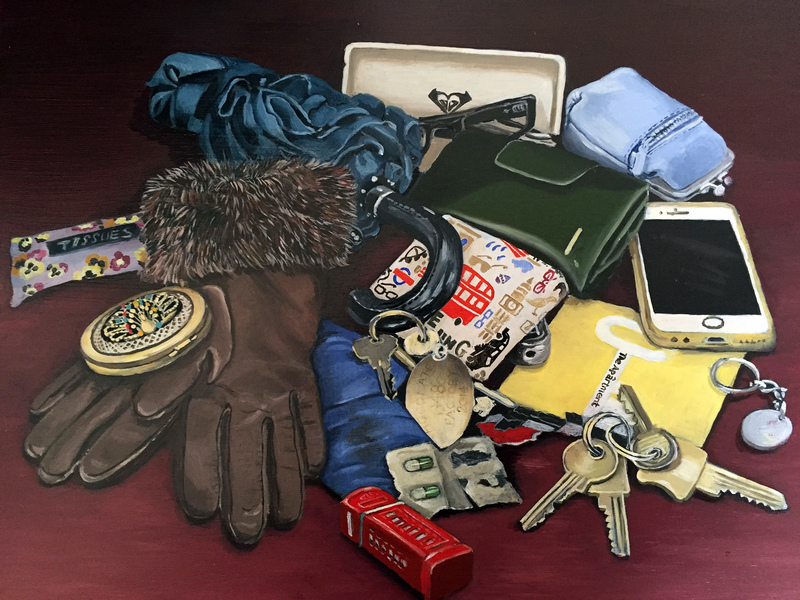 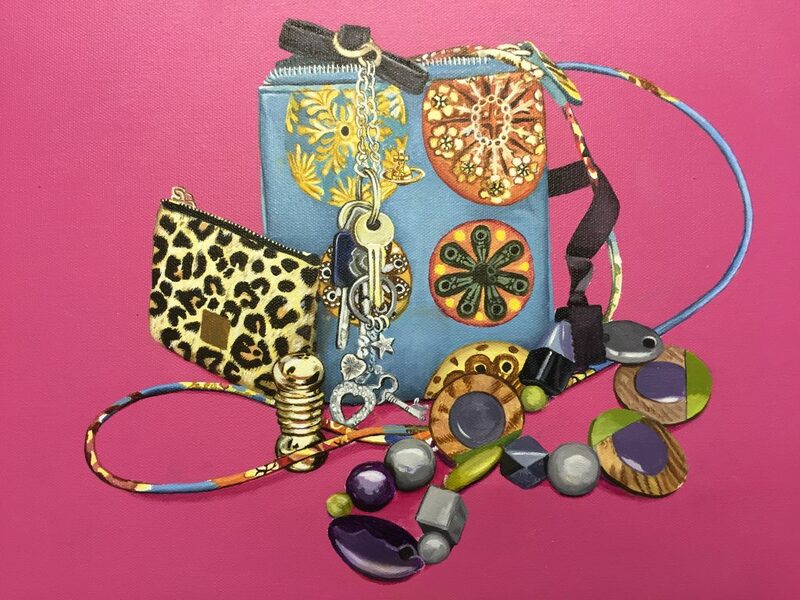 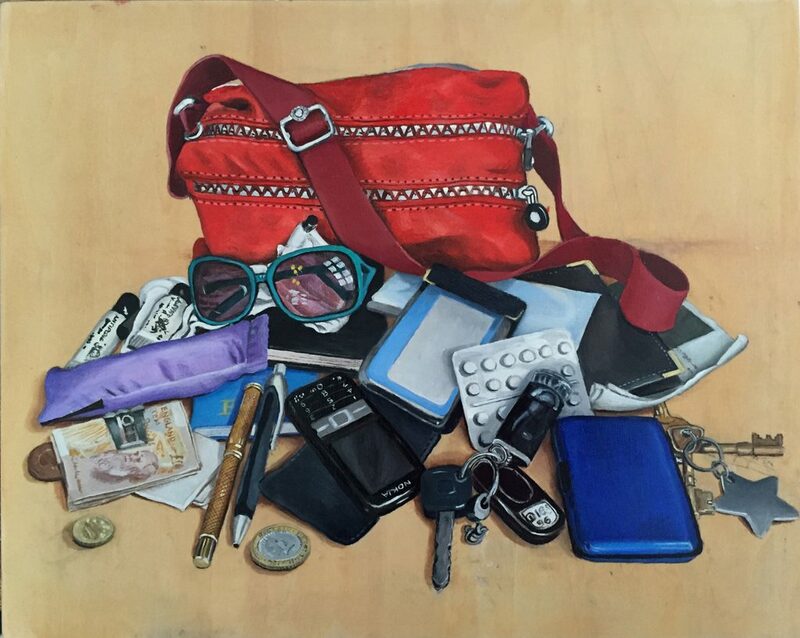 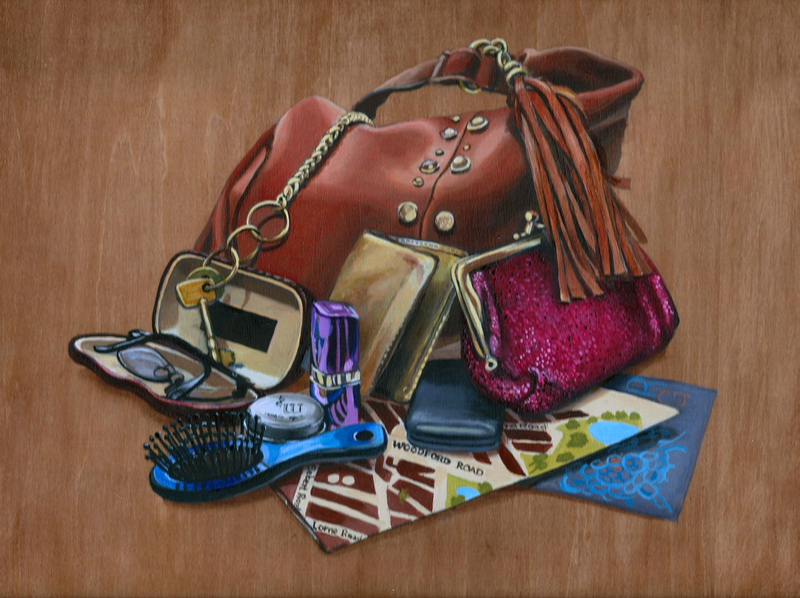 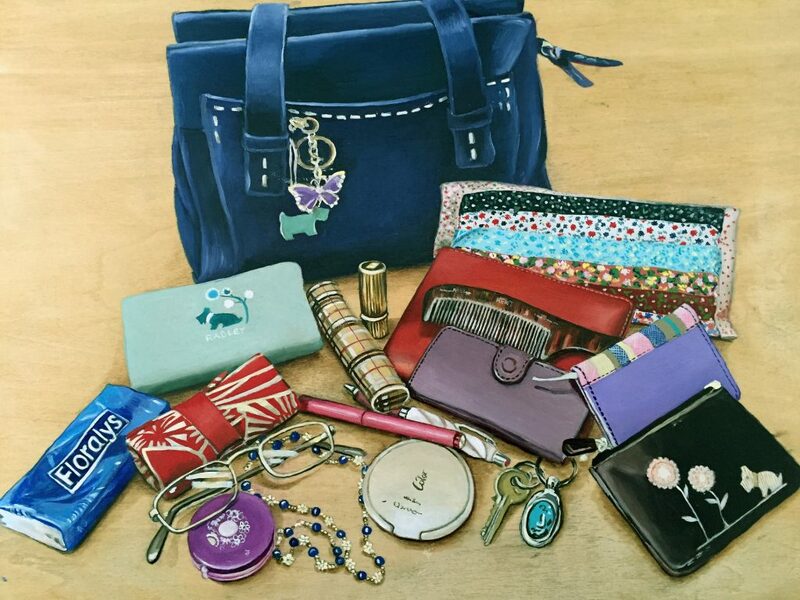 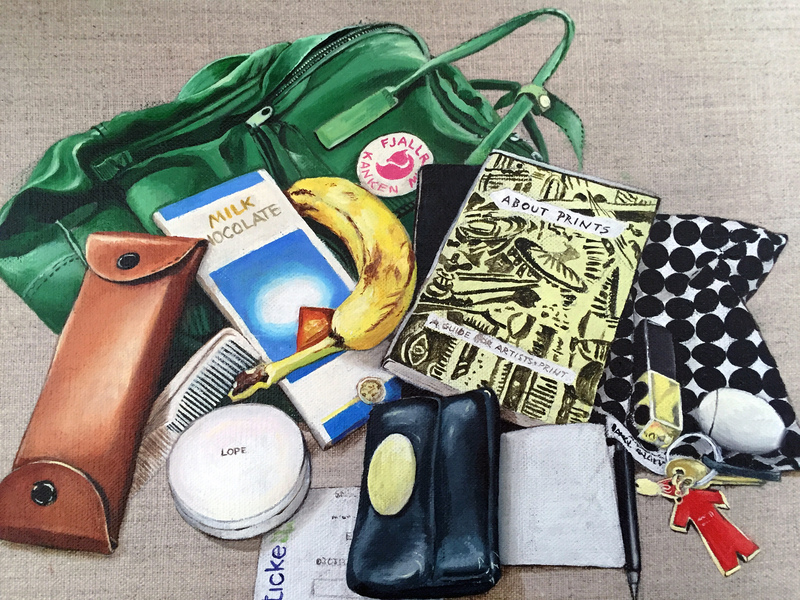 A series of oil paintings on wooden panels depicting the contents of various women’s handbags. 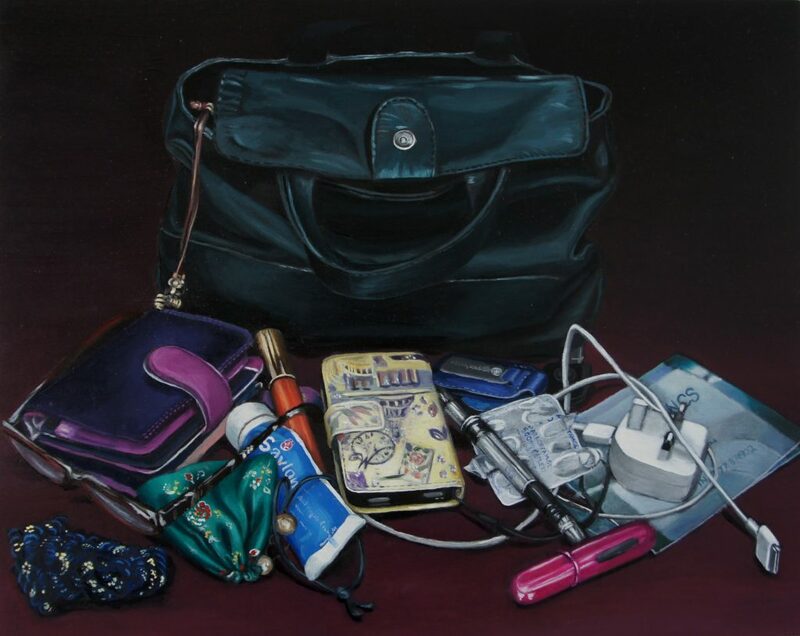 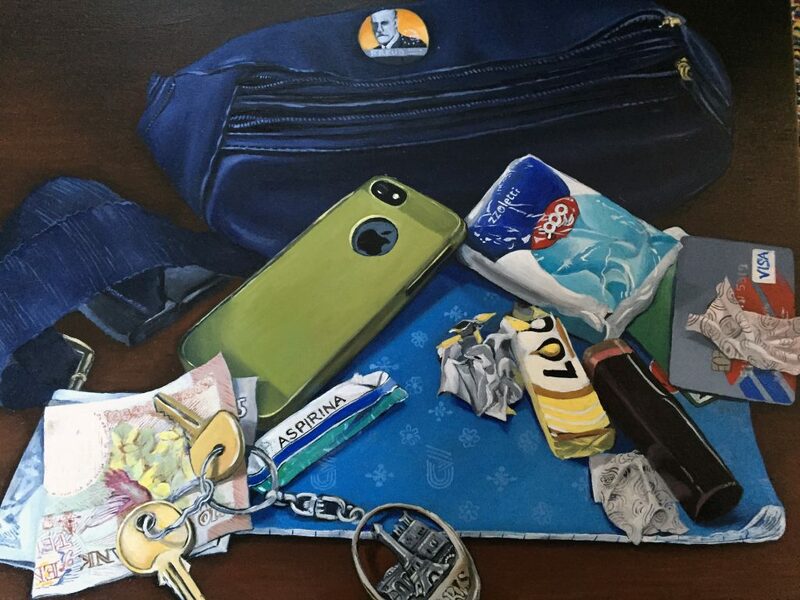 I have asked a number of women if they would empty their handbags and allow me to take photographs and make sketches of the contents which I am developing into a series of oil paintings. 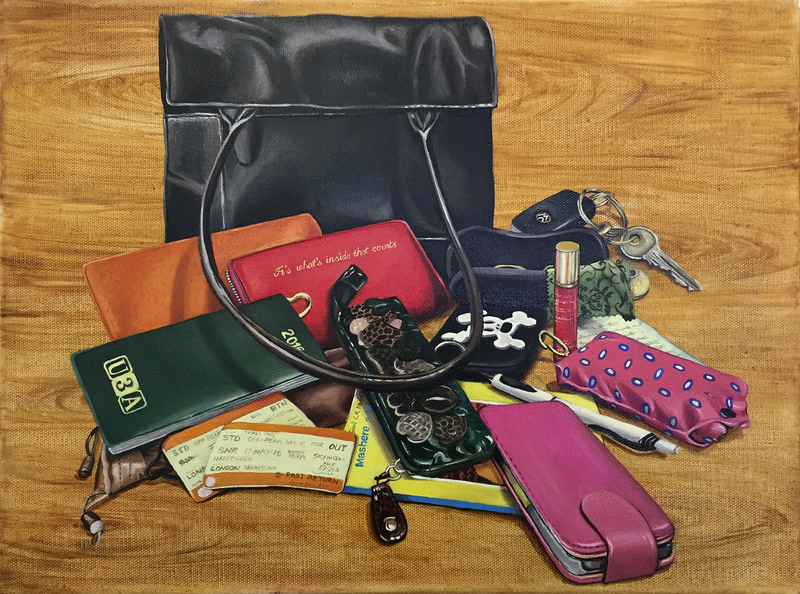 Each handbag contains different items and form a portrait of their personality and give some insight into their identity and everyday lives.